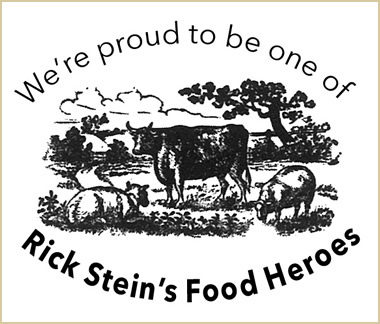 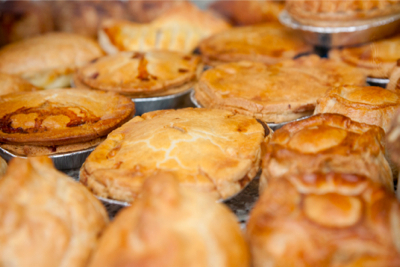 The pies are handmade on the premises; customers can see the pastry being rolled out and enjoy the aroma as the finished pies are taken out of the ovens. 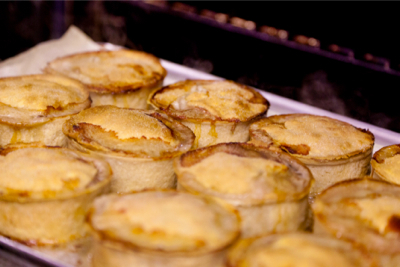 As seen on Rick Stein’s tv programme when he said these minced lamb pies were a favourite hangover cure. 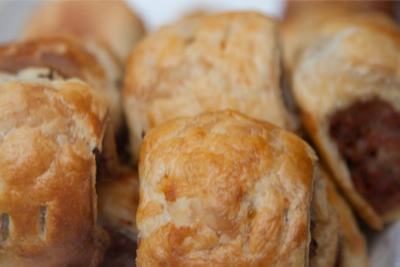 Our famous bangers are used along with puff pastry to create this extremely popular snack. 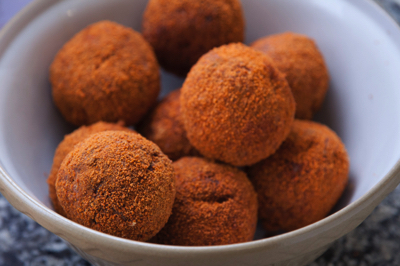 Our sausage meat is wrapped around an egg, breadcrumbed and deep fried until golden brown.